According to Insider, there is a recently opened shopping mall that was opened in Seoul. Built in 2015, the Common Ground mall is made up of 200 modular shipping containers that house almost 17,400 square feet of space. 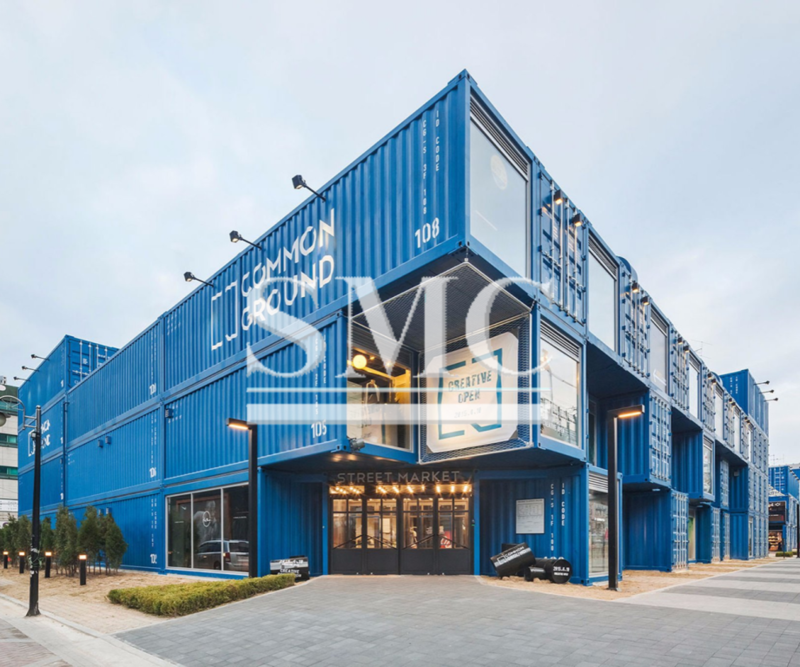 Regarding the Korea Tourism Organization, architecture firm Urbantainer architects made it so that the containers could be rearranged and transported if need be. From the outside, the entrance almost looks unbalanced; some of the shipping containers look like they could fall over. The mall has open seating areas that extend both outdoors, where the open space can also be used for pop-up stores. Overhead, there are catwalks so people can cross the building without going downstairs. In the center there's an open pavilion where you can buy food from food trucks. Inside, there are clothing retailers, bookstores, and restaurants. What is more, there's even an art gallery of sorts. Here, there's an exhibit on bobbleheads. Some containers are even used for art installations. Urbantainer says that because all the containers were prefabricated, it only took five months to construct the space. The firm also says the space was inspired by traditional street markets. But the shipping containers are, of course, far more resistant to the elements.